Why would I need self storage in Westminster, CA? There are a variety of reasons why you might need self-storage in Westminster, CA. How much is a storage unit in Westminster, CA? The cheapest storage unit in Westminster, CA is $62.00 per month. What size storage units do you have available in Westminster, CA? In Westminster, CA we have sizes that range from 6'x6' to 20'x25' to suit your storage needs. How much is it for a 6'x6' storage unit in Westminster, CA? The cheapest 6'x6' storage unit in Westminster, CA is $62.00 per month. Westminster is a large suburban city in Southern California's Orange County, surrounding by the communities of Huntington Beach, Seal Beach, Garden Grove and Fountain Valley. It's home to a very diverse population, which has enhanced the local culture in many ways. Westminster was originally established in 1870 as a Presbyterian temperance colony, led by Reverend Lemuel Webber. It was named for the 1643 Westminster Assembly, a major event at which the basic tenets of the Presbyterian faith were decided. Locals were extremely devoted to their faith, so much so that they refused to harvest the area's grapes, since they could be used to make alcohol. In 1957, the city earned official incorporation. At the time, it was called Tri-City because it was made up of three cities: Midway City, Barber City and Westminster. However, when Midway City backed out of the incorporation, Westminster simply absorbed Barber City and incorporated. 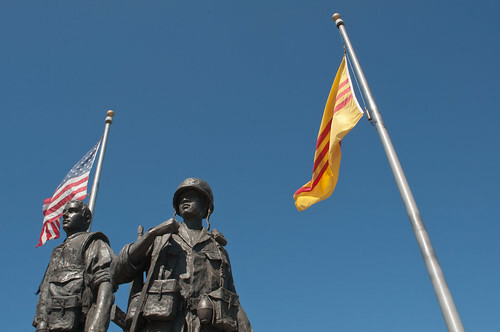 Westminster is a very diverse city and home to a large population of Vietnamese-Americans. In the 1980s, many Vietnamese refugees immigrated to the area, settling in Westminster's "Little Saigon." This event had a major impact on the city's local culture, which now has many Vietnamese elements. The Asian Garden Mall is just one of many Asian-American businesses in the city, most of which are concentrated in Little Saigon. Westminster is also home to many other local destinations, including the Westminster Mall, Westminster Community Theater, Blakey Historical Park and Museum and Liberty Skateboard Park. Amenities like grocery stores are easily accessible throughout the city, and most of its residential areas are near local schools, parks and restaurants. Students in Westminster attend schools in the Westminster School District, Garden Grove Unified School District, Huntington Beach Union High School District or Ocean View School District. Westminster is also home to many different private schools, including Catholic , other Christian and Montessori campuses. Utilities: The city of Westminster water utility department manages local water services. Southern California Edison is the city's primary energy provider. Garbage and Recycling: The Midway City Sanitation District provides trash and recycling collection services. You can view the collection map in order to determine your specific pick-up days. Transportation: The Orange County Transportation Authority operates many routes throughout the county. Like much of Southern California, Westminster has an expensive housing market. The median home price is well above the national average, though slightly lower than that in the neighboring city of Huntington Beach. You can find a mix of apartments, town houses and single-family homes throughout Westminster, many of which are conveniently located and have amenities like large yards and swimming pools. Our lowest priced units in Westminster, CA average $62.00 per month. 96 people have reserved units in Westminster, CA in the past 30 days. There is 1 location within Westminster, CA's city limits.